Today lets see how to make Fish Machboos / Majboos . 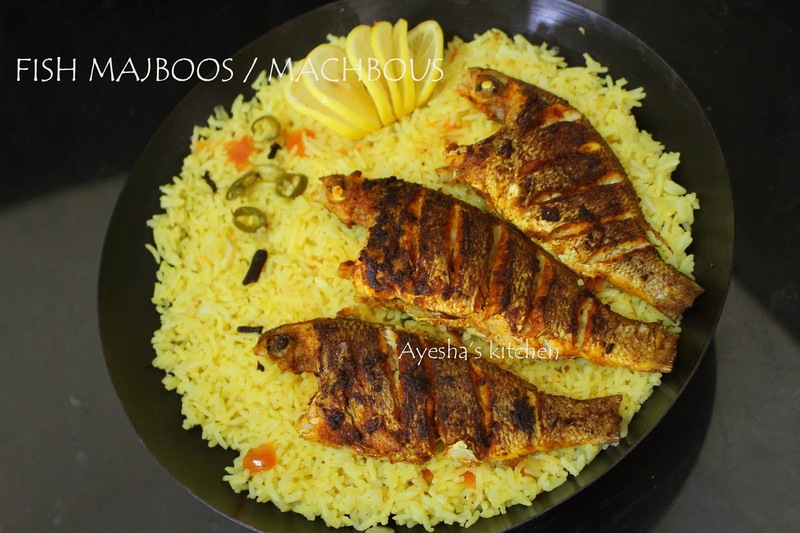 Machboos is a dish which can be prepared with chicken or fish or mutton. Here am sharing the recipe of Fish majboos. 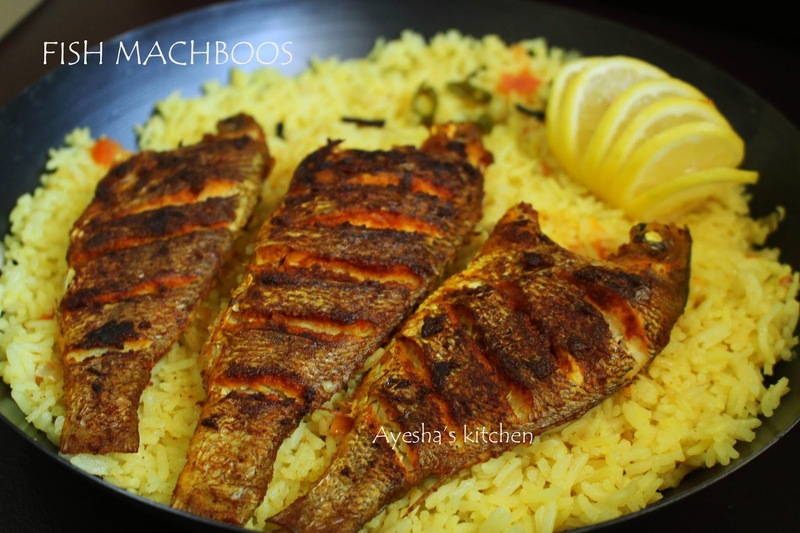 Majboos is the national dish of Bahrain and hence it is called as Bahraini dish. It is very similar to Biryani ( Indian) and Kabsa ( Soudi Arabia). The degree of spiciness, cooking methods and assembling makes the dish different. The main ingredient which i noticed in Middle eastern dishes and Machboos is their ARAB SPICE.....that is BAHARAT and LOOMI. BAHARAT is the special arabic spice which can liven up any dish and LOOMI is nothing but dried lime/ black lime which is boiled and dried in sun, gives an authentic taste of middle eastern dishes. Its a routine for moms what to cook for today?? ?..mainly for those who cooking daily. 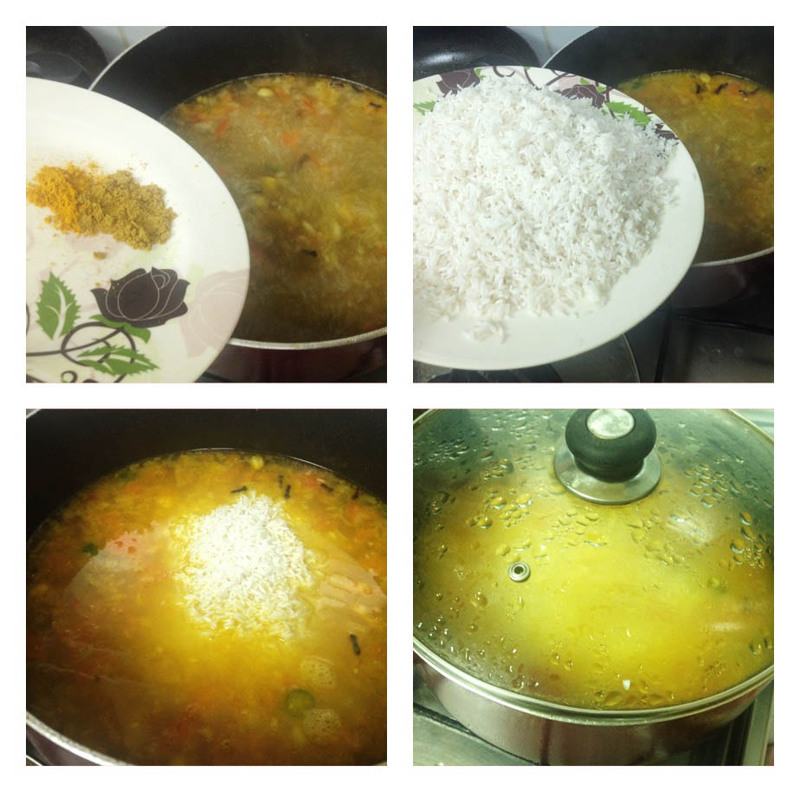 I love to cook one pot meal in school days as there is no need of side dish. Biryani is my favorite one pot meal. But never all the time. Sometimes i goes for ghee rice, pulav, fried rice which are very ease in preparation. I dislikes making the steamed rice with other accompaniments in school days only because it is time consuming. But in weekends we often go for a great sadya with pachadi , kichadi, olan, kalan, upperi, sambar, rasam and all. Cooking is my passion. One of the things i love about cooking is, its creative. The mixing of flavors, colors, and things at right time in right quantity and finally impressing every to eat with its mouth watering flavor and attractive look. That the best cook to be. I like peeping into fridge, searching for something for a new recipe. Sometimes will try to make recipe of others in my own taste which produce something delicious. So friends......The creative part of cooking comes from our thoughts only and so try to make recipes which suits your taste and likes. 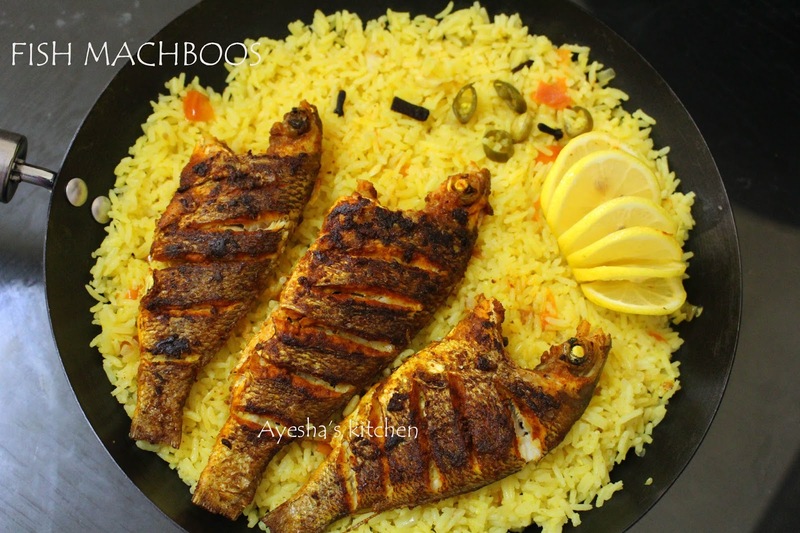 Here is the recipe showing how to make Majboos/ Machboos or how to make fish machboos. Do try and enjoy. Recipe courtesy Garam masala. Marinate the cleaned fish with the marinating ingredients and set aside for 1 hour or keep in fridge. The marinade must be done well inside each slit of fish. When done shallow fry them in quarter cup of oil for 10 - 15 minutes or until both sides are done. Set aside. Heat olive oil in a wok or non stick vessel. Saute the raw spices cardamom, cinnamon, cloves, bay leaves, pepper corns for few minutes . Then saute the chopped onions until soft. Then add chopped green chilly (optional), ginger garlic paste and saute until the raw smell goes. Now add tomato chopped along with some salt. You can also add tomato puree or blended tomato instead. Now add 3.5 cups of water. The amount of water depends on the amount of rice only. I took 2 cups of rice , so actually double the cup of water is required. But the rice i took needs only less amount of water to cook. So add water according to the rice only. Now add the black lime or dried lemon to the water along with fish stock cube ( or can add 5 small pieces of fish flesh which is marinated). This gives a fish flavor to the majboos. Then add turmeric powder, arabic masala spice( available in grocery). Let it boil well and add salt if required. When done, add the soaked and drained rice to it and let it cook for 5 minutes in a medium flame. Then reduce the flame to low and cook until the water dries out. It took around 20 minutes. Now open the lid and mix gently. Keep the fried fish over the rice and serve. 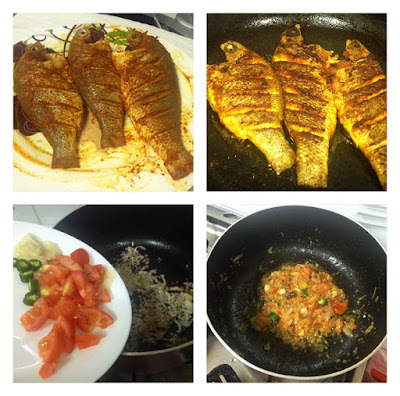 Yummy flavorful fish machboos ready.